At a time when the world seems more divisive than ever, a group of individuals from agencies, advertisers, the media, government and academia will meet next month to kick off what is expected to be a series of open forums tackling transparency and trust issues in the advertising industry. 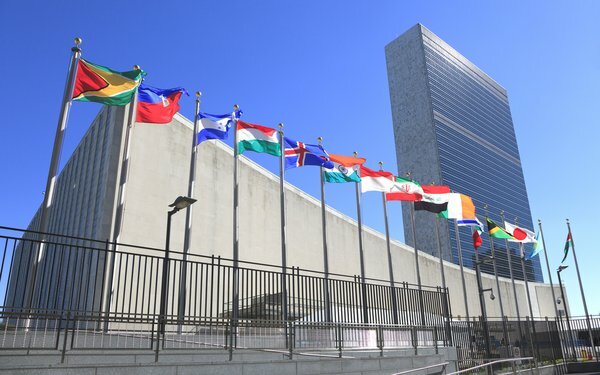 In an effort to symbolize its neutrality, the first meeting will take place at the United Nations in New York City. Dubbed the Advertising Transparency & Trust Forum, the organizers describe themselves as an “ad hoc working group” that is explicitly non-partisan and its only goal is to discuss the current state of “trust systems” in the advertising world to see if better business practices can be developed. The forum’s agenda is being developed by Jerry (Yoram) Wind, a professor of marketing at The Wharton School of the University of Pennsylvania, who is well known for tackling big industry problems. “The idea is that it’s become apparent that the current situation with no trust has become destructive to all parties,” says Andrew Susman, vice president-East Coast of Empower MediaMarketing, an independent media agency based in Cincinnati that pulled out of the American Association of Advertising Agencies last year when the ad agency trade association failed to endorse and support media-buying transparency initiatives proposed by the Association of National Advertisers. The ANA has pledged sending representatives, as have some individual big marketers including Procter & Gamble and U.S. Cellular. The 4As said it is still evaluating whether it will participate. Susman said the UN was chosen as the location for the first meeting because it is neutral territory, literally. While it occupies U.S. soil, the UN property technically is “extraterritorial” through a treaty agreement with the U.S. government. 4 comments about "Ad Hoc 'Trust' Group Wants To Be Neutral Ground, Will Use UN As Its Venue". Henry Blaufox from Dragon360, February 14, 2017 at 10:35 a.m. Sorry, but in the present day, the UN is hardly neutral ground. It is a gsthering place for various dicatotrships and kleptocracies. Why associate with them? What is the Trust group planning to do - mimic the UN and spend the whole conference berating Israel? Henry Blaufox from Dragon360 replied, February 14, 2017 at 10:37 a.m.
Joe Mandese from MediaPost, February 14, 2017 at 10:40 a.m.
Henry, understood on both counts. I think the UN was selected to sympolize neutral ground, not necessarily a neutral body. Paula Lynn from Who Else Unlimited, February 14, 2017 at 5:58 p.m. The UN was chosen for circumvention purposes rather than a place as a THE platform choice. Will this organization have influence for change ? Doubt it.